I’ve had Mexicam mole (moh-lay) a few times and it’s been on my list of things to try cooking for a while. Then when I got around to looking up recipes I discovered that mole just means ‘sauce’ in Mexican cooking, so basically any casserole in Mexican cooking: that’s a mole. I’m going to go with Wahaca’s Mole Amarillo (p126 – also sort of online at Google Books). 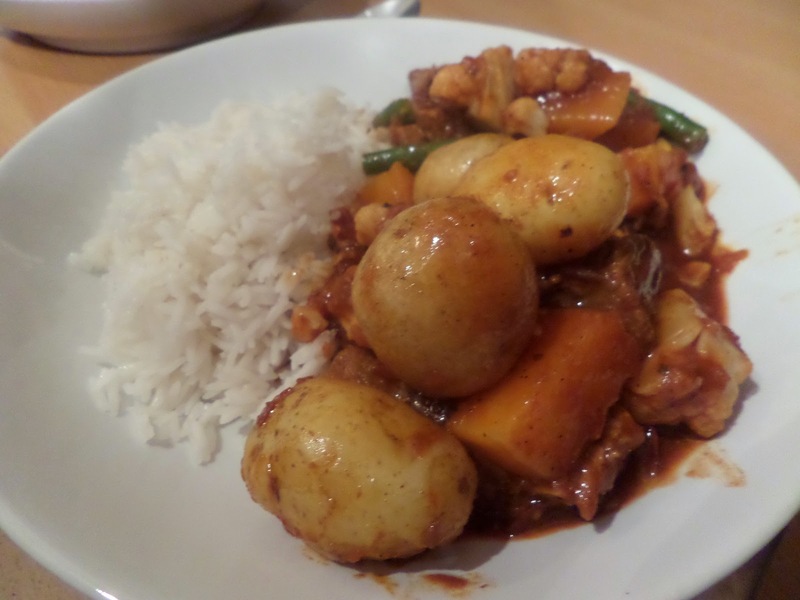 It’s a wonderful mix of chicken, pork, potatoes, butternut squash, cauliflower and green beans in a spicy Mexican sauce. Thanks to Spice Mountain I was able to get the authentic spices required for this dish: dried guajillo and ancho chillies, Mexican oregano & allspice berries. The recipe starts with rehydrating the dried chilies. However the method in the book confused me: open out the chilies, toast them, then soak in boiling water. How do you open out dried chilies? Won’t they just crack and crumble? A reference made to the chilies bubbling while toasting made me suspect that the method was for fresh chilies (as the recipe doesn’t explicitly say dried chilies). Thankfully the internet came to the rescue and explained, with pictures, what was going on, and now it makes sense. It tastes pretty good. 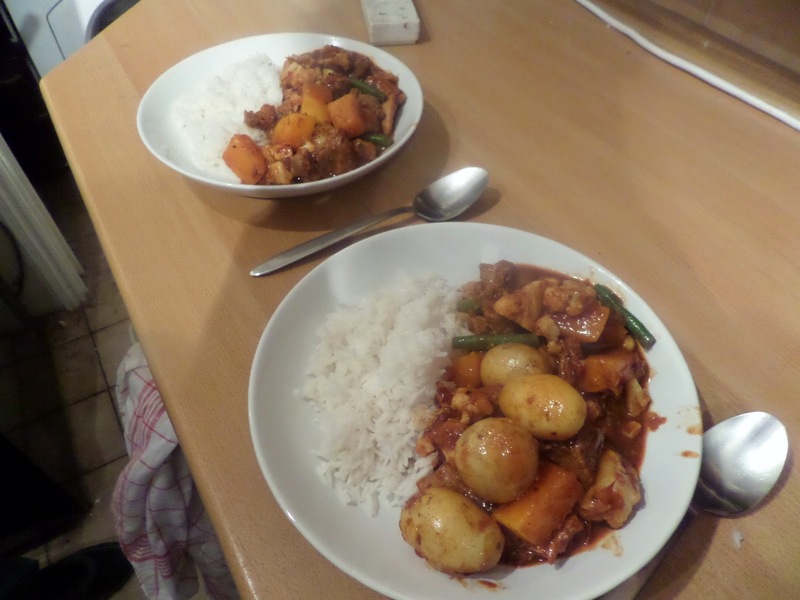 Had it been a one-pot meal it would have been better, and with some extra spice heat even better. As it is… too much work for the result. Too much mucking about for my liking.